Few poets have in their lifetimes been as abundantly translated or as willingly assimilated into other languages as the Swedish poet Tomas Tranströmer. His works can be read in practically every European language and in quite a few non-European languages as well. In his native Sweden, Tranströmer’s reputation as a leading poet of his generation was assured almost from the publication of his first book in 1954. By the time he published his second book, his presence on the Swedish literary scene arguably marked a turning point in the history of the national literature. A Grandfather Figure. Tomas Tranströmer was born on April 15, 1931, in Stockholm, Sweden. Some might say that he was the product of a broken home because his parents separated when he was three years old, and his father, Gosta Tranströmer, an editor and journalist, remained rather aloof thereafter. Yet the boy grew up in a remarkably harmonious and intellectual household. His mother, Helmy, taught primary school in an exclusive area on the other side of town, and her fair and caring approach as a teacher was legendary. The family’s male caretaker— and Tranströmer’s role model—was ship pilot Carl Helmer Westerberg, the boy’s maternal grandfather. Tranströmer counts his time spent with Westerberg, whom the poet lovingly describes in the long poem Baltics (1974), among the most tender of his childhood memories. World War II and School Years. In the summer months the extended Westerberg-Tranströmer family typically stayed on Runmaro, an island located in the archipelago that separates Stockholm from the open sea. On the island, Tranströmer and his mother vacationed at Westerberg’s two-story blue house, surrounded by similar houses inhabited by their cousins and siblings and friends. Tranströmer’s childhood was not, however, merely idyllic, for World War II raged on the periphery of Sweden for six years, from the time that he was eight years old until he turned fourteen. During Sunday dinners the family listened avidly to the Allied news, and the young Tranströmer often wished he could demonstrate his family’s anti-Nazi stance in a public way. At Sodra Latin, Tranströmer’s high school, his classmates were an unusually clever and well-read group who participated in or wrote for formal and informal literary clubs, poetry competitions, and high-school magazines. After the grim war years of rationed food and isolation, as people recognized a need for culture and for beautiful objects, money became available for funding the production of lavish art books and small magazines and for encouraging these young literary talents. While the Laurels Grow was the high-school magazine in which Tranströmer’s first works appeared. After his debut he coedited a poetry magazine, Opening Note, until 1957. The magazine introduced Swedish readers to the work of Greek, German, and French poets, and the teen had the opportunity to publish world poetry in translation. Traveling Years. In the early 1950s Tranströmer completed his obligatory military service and studied literature, psychology, philosophy, and the history of religion at the University of Stockholm. He also indulged his taste for travel and made trips to what in those days were out-of-the-way places, traveling with scarcely any luggage or money to Iceland, Morocco, Turkey, and Yugoslavia, among other locales. Witnessing the harsh conditions under which many people outside Sweden lived left a profound impression on him, as did his first encounter with communism in Yugoslavia. Tranströmer’s eight years of postsecondary school studying and traveling were nevertheless generally happy. He enjoyed friendships, new and old, and socialized with intellectuals and artists, people with whom he shared interests in literature, modern classical music, and the arts. He also wrote poetry, played the piano, and read as much as he could—developing an enduring preference for surrealist poetry and a related taste for parapsychology. All the while he avidly collected experiences and broadened his range of interests, as the publication of his second volume of poetry, Secrets on the Way (1958), reflected. In 1958 Tranströmer took his first full-time job as a psychologist at the Psychotechnical Institute in Stockholm and also married Monica Bladh. When the couple traveled to Egypt, he recorded her reactions to the experience in poems published in The Half-Finished Heaven (1962). Distanced from Poetic Shifts in Sweden. In 1960 Tranströmer and his wife left Stockholm, and Tranströmer took on a job as psychologist in residence outside Linkoping at Roxtuna, an institution for delinquent youth. In the beginning, the couple found the distance from Stockholm difficult at times, because they were away from friends, parties, gallery openings, and the theater. Nevertheless, poetry collections continued to appear at a steady rate, once every four years: The Half-Finished Heaven was published in 1962; Resonances and Tracks in 1966; and Night Vision in 1970. A shift in poetics characterized Swedish literature from the mid-1960s to the mid-1970s, and expectations for lyric poetry altered radically. Swedish writers and poets coming of age in the 1960s began to feel that artistic form and aesthetic pleasure might be obstacles to empathy. The reason for the reevaluation of literature was the discovery of social problems and injustices overseas: graphic pictures of the suffering inflicted on the people of Vietnam and of the misery of the dispossessed in India and Africa were shown on the evening news. The bleakness of the situation in the world was being matched by engagement at home. Swedish writers and poets therefore saw artistic form as a hindrance, as for them it evoked indecency in the face of human suffering. Illness and Later Years. Besides being a time of artistic reconsideration, the late 1960s and early 1970s were also years of serious illness in the Tranströmer family. During this period his mother passed away. As evidenced by its title, Night Vision (1971) includes poetry that reflects the poet’s stress and pain. 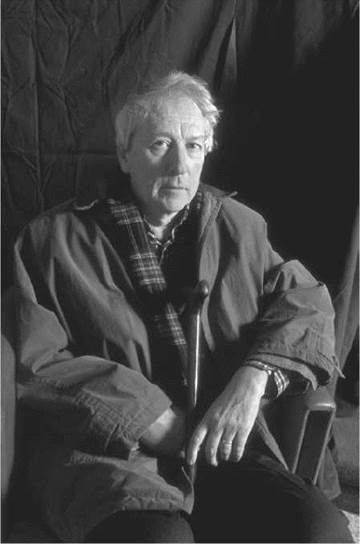 Yet, during those difficult years he was buoyed by his growing international reputation, by the steady increase of his readership in the United States, and his friendships with such champions of international poetry as American poet Robert Bly, whom Tranströmer has known since the 1960s. Robert Bly (1926—): An American poet and activist who founded the Mythopoetic Men's Movement. Ingmar Bergman (1918-2007): Swedish filmmaker who created classics of international cinema such as The Seventh Seal (1957) and The Virgin Spring (1960). Max von Sydow (1929-): Actor famous for his collaborations with Ingmar Bergman as well as his roles in The Greatest Story Ever Told (1965) and The Exorcist (1973). Ted Hughes (1930-1998): English poet and author famous for his marriage to Sylvia Plath and for his children's novel The Iron Man. Modernist Influences. Swedish critic Peter Hallberg wrote an essay analyzing the literary sources and influences in the poems ‘‘Song’’ and ‘‘Elegy’’ from Seventeen Poems in which he showed the debt that these early pieces owed to high modernism. These long, elaborate poems further show influences of esoteric material that ranges from Finnish folk literature to the parapsychology of J. W. Dunne, and from T. S. Eliot’s Four Quartets (1944) to such nearly forgotten modernist texts as Jean-Paul de Dadelsen’s Jonas (1962). ‘‘Song’’ and ‘‘Elegy’’ (as well as ‘‘Epilog’’) are considered Tranströmer’s most modernist poems, though they also look to the forgotten Baroque tradition for models and inspiration. Surrealist Style. In interviews Transtromer has said repeatedly that he wishes people would live their lives more intensely. He makes poetic efforts to wake up people and encourage them to do so. This is in line with the ‘‘changer l’homme’’ (change of mankind) tradition of Arthur Rimbaud, a tradition continued and developed by the French surrealists and also by the ‘‘deep image'' poets in the United States. Tranströmer’s early poetry often relies on surreal imagery. Involving dreams and the subconscious, he uses the poetic technique of linking images and things from different areas of experience. The poet takes from phenomena ordinarily viewed as widely disparate. This shocks readers, forcing them to make leaps of association and shifts of consciousness. In Secrets on the Way (1958), for instance, Transtromer counterbalances the widely ranging imagination of the poems with a repeated crossing of the border between dreaming and wakefulness. The Collected Stories of Katherine Mansfield (1945). Featured in this collection are themes of physical and mental illness expressed by a writer who suffered her share of the same, from depression to tuberculosis. ''The Jilting of Granny Weatherall'' (1930), a short story by Katherine Anne Porter. In this story, Granny Weatherall's well-being is in the hands of family, who do all the talking and decision making for her. Midnight's Children (1981), a novel by Salman Rushdie. This is the story of an Indian protagonist, born with 1,001 others on August 15, 1947, (India's Independence Day) amid political turmoil. ''The Yellow Wallpaper,'' (1892), a short story by Charlotte Perkins Gilman. This story, often viewed as an early feminist work, details the female narrator's descent into madness. One Hundred Years of Solitude (1967), a novel by Gabriel Garcia Marquez. In this work by the Father of Magic Realism, a family's generations of struggles are chronicled. In Sweden the critical response to Tranströmer’s poetry has fluctuated between two extremes: for a decade or so after the appearance of Seventeen Poems, his work was much admired, while after 1966 he came under frequent attack for what was perceived as an outdated style. Nevertheless, several literary scholars have made serious attempts to regard his work from a critical angle, and insightful essays on his poetry have been published. 1. Transtromer’s poetry is a mixture of modernism and surrealism. Find as many incidences of surrealism as you can in Transtromer’s work. For example, what is dreamlike about his writing? Discuss with others, and point out something the others in the group did not see, so you can collectively come up with your own understanding of surrealism. 2. The anthology English and American Surrealist Poetry includes Transtromer as part of the ‘‘deep image’’ canon of translated poetry. Consider one of his poems and select all of the images you find striking. Make a list of these images. What senses does each image appeal to? Why does it move you? 3. Consider how many of these images can be considered to symbolize, or represent, a larger concept. Make note of any associations you have with the image. For instance, what do you think of when you see the word garden? Go online to a symbolism dictionary and look up the imagery words you have collected. Do the symbolic meanings agree with your associations? 4. In a group, photocopy one of Transtromer’s poems—such as ‘‘Tracks’’—and read it through together. Then, use scissors to cut the poem into pieces, one line of poetry per cut piece. Mix up the pieces (lines) and together with your groupmates decide how you will ‘‘rewrite’’ the poem by gluing the pieces in the new order your group chooses. When you are finished, read aloud your version. Why did your group decide to place lines in the positions they placed them? Why do you think Transtromer decided to place lines in the positions he placed them? What messages do you think each poem version expresses, and how do they do that differently? Bergsten, Staffan. Den trösterika gätan: Tio essäer om Tomas Tranströmers lyric. Stockholm: FIB: s Lyrikklubb, 1989. Espmark, Kjell. Resans formler: En studie i Tomas Tranströmers lyric. Stockholm: Norstedt, 1983. Schioler, Niklas. Koncentrationens konst: Tomas Tranströmers senare poesi. Stockholm: Bonnier, 1999. ‘‘Tomas (Gosta) Transtromer (1931-).’’ In Contemporary Literary Criticism, vol. 52, edited by Daniel G. Marowski, Roger Matuz, and Sean R. Pollock, 408-18. Detroit: Gale Research, 1989. Tranströmer, Tomas. Memories Look at Me. Stockholm: Bonnier, 1993. Lloyd, Roseann. ‘‘Swedish Psychology.’’ Borealis (January/February, 2002): 34-35. Printz-Pahlson, Goran. ‘‘Tranströmer and Tradition.’’ Ironwood, special Tranströmer issue, 15 (Spring 1979). Torhamn, Urban. ‘‘Tranströmer’s Poetic Method.’’ Bonniers Litterora Magasin no. 10 (1961): 799-80. Poets.org. ‘‘Tomas Tranströmer.’’ Retrieved March 18, 2008, from http://www.poets.org/poet.php/prmPID/1112. Samizdat. Issue #3. ‘‘Haiku by Tomas Tranströmer.’’ Retrieved March 18, 2008, from http://samizdateditions.com/issue3/transtromer1.html. Tomas Tranströmer Official Website. Retrieved March 18, 2008, from http://www.tomastranstromer.com/.